Ross Powell (left) and fellow NIU geologist Reed Scherer recovered sediment from a subglacial Antarctic lake bed. You can check an app on your phone to see what the weather will be tomorrow, but what about 10 or even 100 years from now? To predict climate changes, geologists are drilling into the heart of Antarctic ice and studying the effects of millions of years of weather. Join NIU STEM Outreach at 6:30 p.m. Wednesday, May 22, when its popular STEM Café series presents “WISSARDs of the Antarctic” at Eduardo’s Restaurant, 214 E. Lincoln Hwy. in DeKalb. The program will focus on the National Science Foundation-supported WISSARD project (Whillans Ice Stream Subglacial Access Research Drilling), which is using a hot water drill to explore the environment beneath the Antarctic ice sheet. WISSARD’s co-leader, Ross Powell, is the speaker at the May STEM Café. Powell is a Distinguished Research Professor in Northern Illinois University’s Department of Geology and Environmental Geosciences. Powell says that the work he and his team are doing in Antarctica will give scientists clues about Earth’s warming and cooling cycles and the effects of climate change. 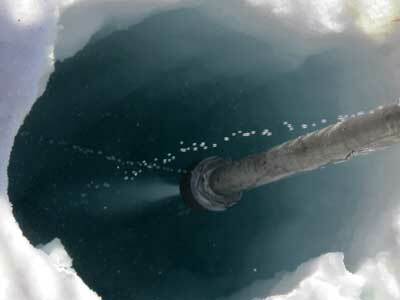 WISSARD used a hot water drill to bore through the Antarctice ice sheet. “We are gathering data on the water system under the ice to better understand how it all works so we can make more solid predictions on how the ice sheet may behave in the future and consequently, how fast sea levels may continue to rise,” Powell says. Powell will also discuss the drilling process, which required the team to bore through 800 meters of ice using a hot-water drill fitted with a filtration and germicidal system. 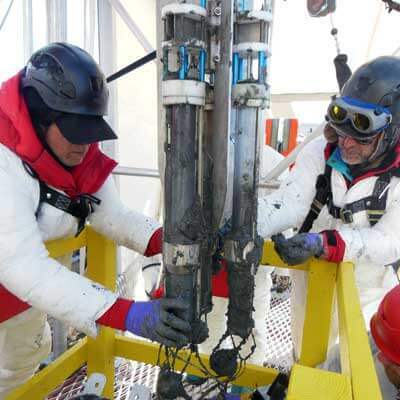 The drill was specially designed to prevent contamination of the subglacial environment and to recover clean samples for microbial analyses. The WISSARD team spent over three months in Antarctica last year and will return again soon to continue their research. Organizers are pleased that Powell will share his adventures and discoveries during a STEM Café. 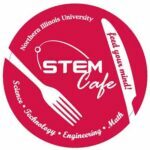 NIU STEM Outreach hosts STEM Cafés every month. The events are free and open to the public and food and drinks are available for purchase from the host restaurant. STEM Outreach offers many engaging events to the public throughout the year to increase public awareness of the critical role science and other STEM fields play in our world. For more information on upcoming STEM Cafés and other events from STEM Outreach, visit http://www.niu.edu/stem or contact Dymond at jdymond@niu.edu or (815) 753-4751.